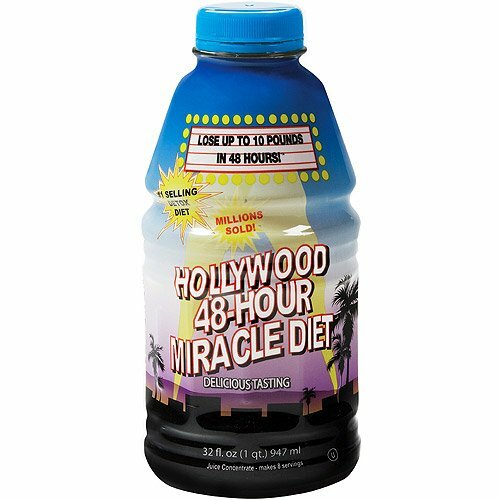 Hollywood 48-Hour Miracle Diet for temporary weight management or an ideal jump start to any diet! In 1996 we created the juice fasting industry with the Hollywood 48-Hour Miracle Diet. Thanks for making us the #1 selling detox diet in the world. For 2 days enjoy a special formulation of all-natural juices and botanical extracts. Instead of fats, processed sugars and artificial ingredients, you will flood your body with vitamins, minerals, antioxidants and essential oils that detoxify your body while you shed pounds. "Congratulations on taking the first step. You are just 48 hours away from looking and feeling better. I know, I created this product to help me with my own weight problem. It worked for me and it can work for you too!" - Jamie Kabler, "The Fitness & Health Guru"
The First Delicious Way to Lose Weight. Eat a cookie, Skip a meal. Lose weight with delicious meal replacement cookies. Each cookie is individually wrapped for eating on-the-go. Take a tasty meal with you to the office, on the road, on the plane, to the gym, or anywhere else you go. We all know that to lose weight we have to restrict calories, but that is easier said than done. When hunger strikes, diets fail. 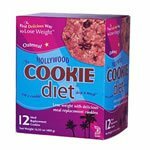 The Hollywood Cookie Diet works by satisfying your hunger while providing essential vitamins and minerals. Each cookie is a delicious meal. The Hollywood Cookie Diet is a good source of fiber and protein and contains more than 13 vitamins and minerals. "Congratulations on taking your first step with The Hollywood Cookie Diet to achieve a healthier, slimmer you. The Hollywood Diet products have worked for us and they can work for you." Jamie Kabler and Larry Turner "The Hollywood Diet Coaches." 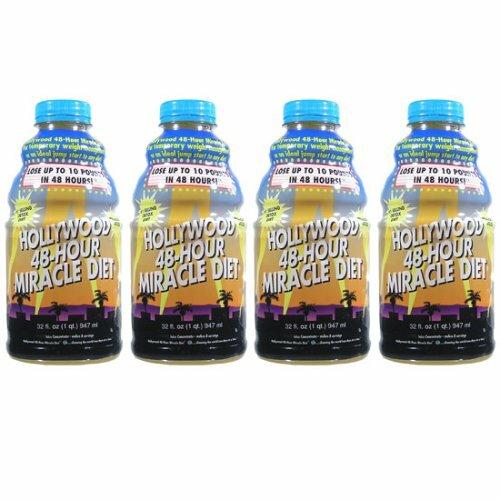 Hollywood Diet products...slimming the world one day at a time. Fewer calories. More Life. From the makers of the Hollywood 48-hour and 24-hour Miracle Diets which have already helped millions to detox and lose weight! Lose weight naturally, while you cleanse, detoxify and rejuvenate your body: For 2 days enjoy a special formulation of all natural juices and botanical extracts. Instead of fats, processed sugars and artificial ingredients, you will flood your body with vitamins, minerals, antioxidants and essential oils that detoxify and rejuvenate your body while you shed pounds. Individual results may vary. Do not consume food, alcohol, caffeine or tobacco while on Hollywood 48 Hour Miracle Diet Drink 8 Glasses of water each day. Shake well before each use. Refrigerate after opening. Lose weight naturally, while you detox, cleanse and rejuvenate your body. An ideal jumpstart to any diet. For two days enjoy a special formulation of all-natural juices and botanical extracts. You will flood your body with vitamins, minerals, antioxidants and essential oils that detoxify your body while you shed pounds. This fasting approach allows your body to consume the glucose circulating in the blood and switch on the fat burning. 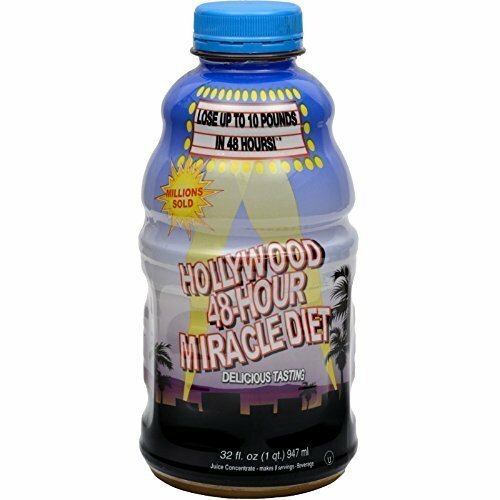 48 Hour Hollywood Miracle Diet -24 hr Results! Starting at 215 lbs. Including exercise and vitamins/ supplements. I am not an expert on health, obviously. Just making these videos to document my own progress. I will leave the comment section open. Please be kind. 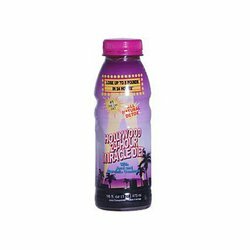 Compare prices on 48hour Hollywood Diet at ShoppinGent.com – use promo codes and coupons for best offers and deals. Start smart buying with ShoppinGent.com right now and choose your golden price on every purchase.